I always wait for some magazines to translate her new tattoo but I think they haven't even noticed that she has a new one. They only show David's new roses. 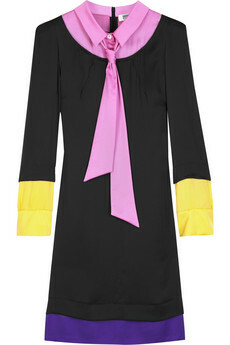 I just saw this dress (Sonya by Sonja Rykiel) at net-a-porter and thought that would look amazing on Victoria. AAAAAAAAAAAAAAAAAAAAAAAAAAAAAAAAAAAAAAAA I missed Victoria as a crazy; i really did. I'm so so so so so happy for all the great news going on her life on those last years. She's so cute and amazing.